Mapping Literature and analysing maps of literary landscapes are the ambitious aims of the project »A Literary Atlas of Europe«. By means of cartographic knowledge and techniques, instruments are provided to investigate various spatial aspects in the field of literary geography. Literary spaces are working different compared to other spatial themes – all spatial objects are described by words – and require new data models and visualisation methods. 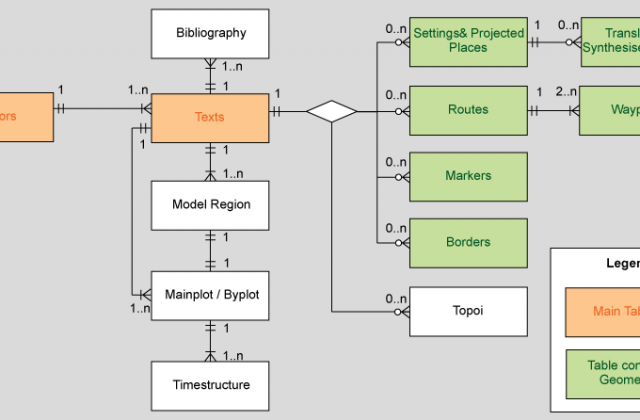 This paper will present the required complex text analysis, the actual data acquisition and the automated visualisation of certain spatial literature entities. Based on three model regions the feasibility and transferability of the presented methods are determined.